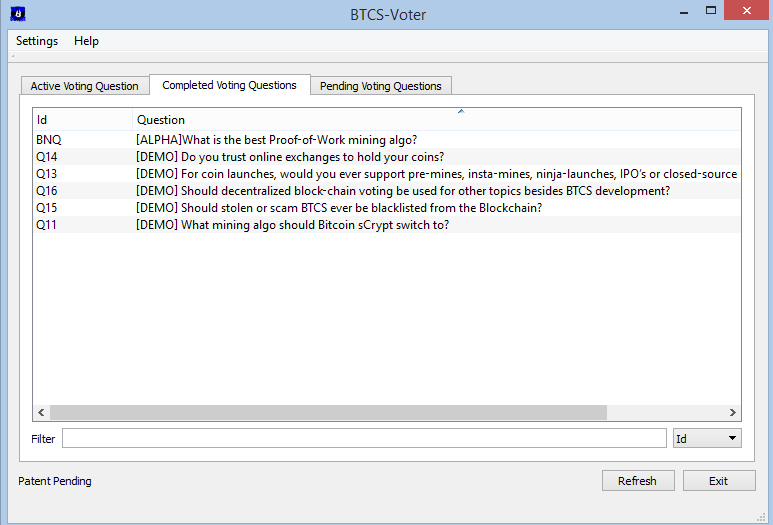 As promised, alpha-testing of the voting client began this week and alpha-testers were notified and given download links to begin evaluating the client. 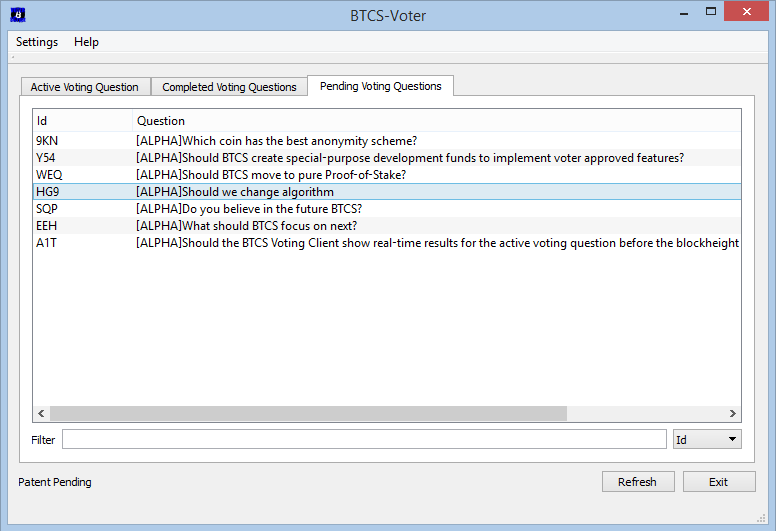 Alpha-testing is scheduled to last 3-4 weeks with a test voting question scheduled for each Friday during this alpha-test period. 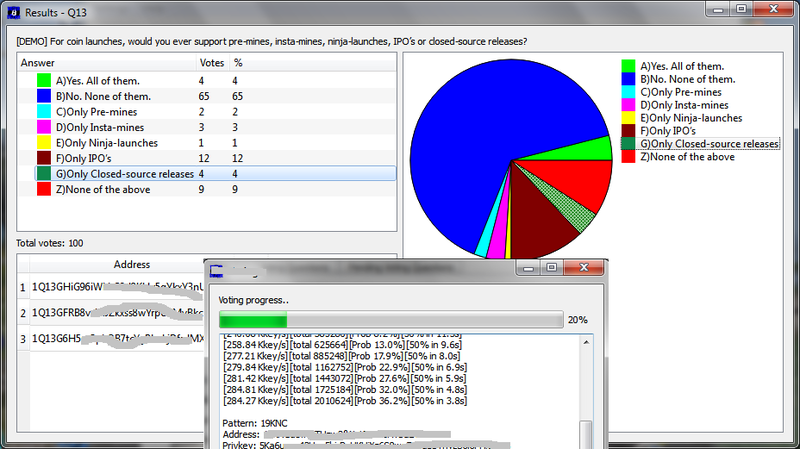 When alpha-testing is completed and actual voting begins, however, votes will be scheduled for once every two weeks. 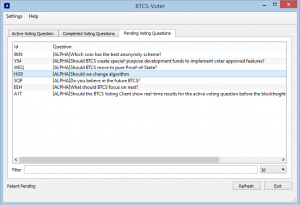 Also, during this alpha-test period we will revisit the Roadmap to decentralization and revise it with community input to set a new Roadmap for when decentralized development is officially implemented. 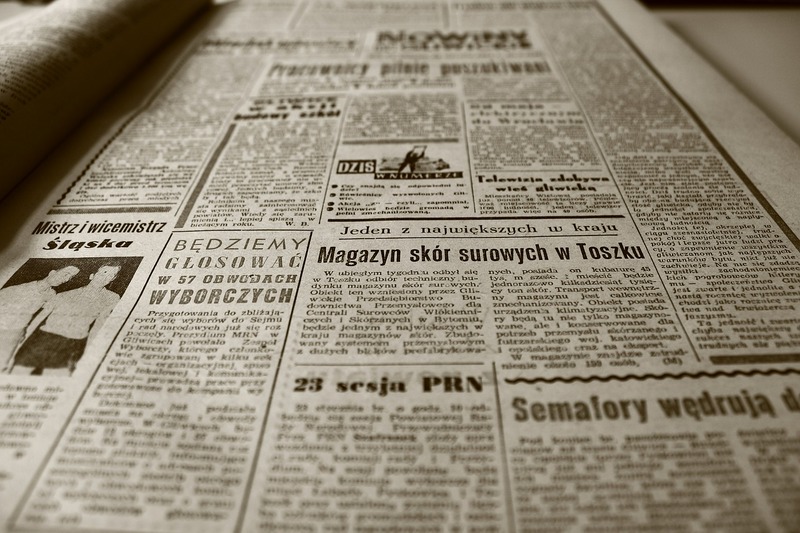 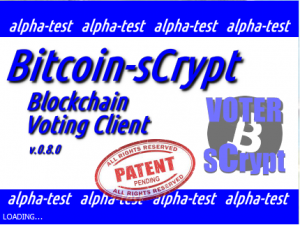 Additionally, during this alpha-test period we will work on getting Bitcoin sCrypt added to more exchanges and work on an organized media push to help spread the word. 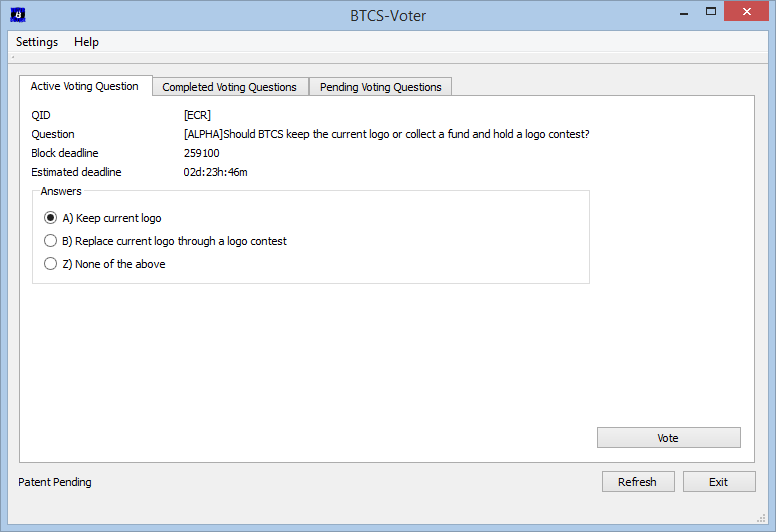 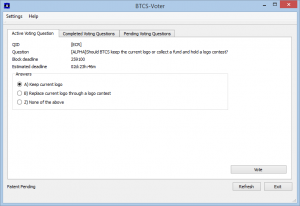 Finally, below we have included some screenshots of the alpha-test voting client along with the MD5, SHA1 and SHA256 file hashes of the alpha-test files (for alpha-testers to confirm if necessary).